1.1 Where does Jack Herer get its name? 1.3 What is a hybrid cannabis strain? 3.2 Is Jack Herer weed hard to grow? 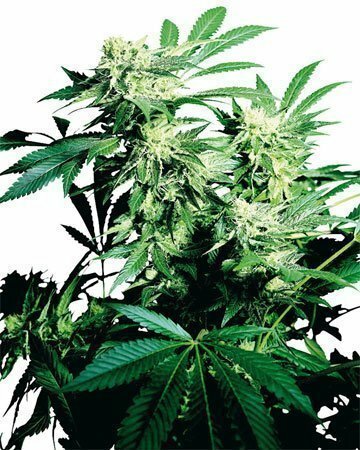 3.3 How big is the yield from Jack Herer plants? 4.1 What does Jack Herer pot taste and smell like? 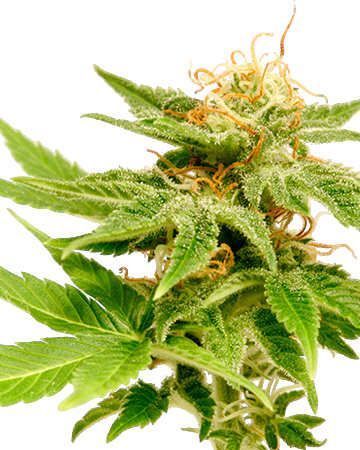 4.2 The effects of Jack Herer cannabis? 5.1 What if my cannabis seeds don’t germinate? 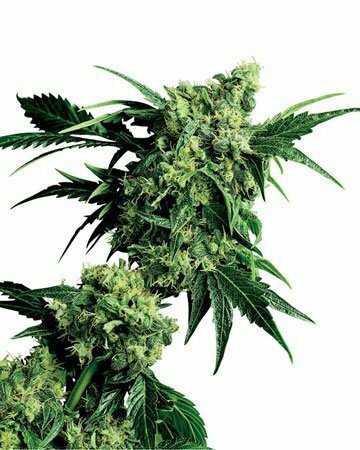 Named for a prominent hemp and marijuana advocate, Jack Herer feminized cannabis seeds are a hybrid strain with many benefits. If you’re embroiled in cannabis culture at all, there’s a good chance you’ve come across the name Jack Herer. 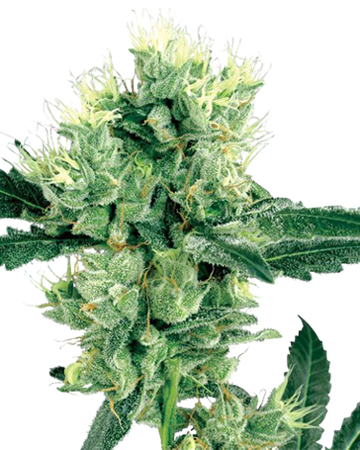 While some cannabis seed strain names might seem completely random and inexplicable, Jack Herer is one that makes perfect sense: the strain was named for a pioneer advocate in the industrial hemp and marijuana movements. Jack Herer was born in the late 1930s, and passed away quite recently, in 2010. During his lifetime, he was deeply involved in decriminalization and hemp-related activism, and could be regularly seen arguing for the use of hemp for fuel, paper, and medicine. In 1985, he published the book “The Emperor Wears No Clothes”, which explored the history of hemp and its extensive – and largely unrealized – potential. Today, the book can be read free of charge on the website Mr. Herer’s wife continues to run in his name. In honor of Jack Herer’s efforts in the cannabis industry, his name was given to a sativa-dominant hybrid strain first bred in the Netherlands in the 90s. In addition to being a popular choice for recreational users seeking its uplifting and energetic effects, Jack Herer is recognized as a medical-grade strain by Dutch pharmacies. The same effects praised by its just-for-fun fans can help to alleviate stress and depression, and even combat pain. There is a lot of discussion recently around what constitutes a “hybrid” cannabis strain, and some people are arguing that the variety should have strict distinctions (much like the label “organic”). The simplest definition of a hybrid cannabis variety is one that is not a pure landrace indica or sativa, but rather a combination of two or more strains. Of course, depending on the combinations, this isn’t very helpful to buyers, as it leaves room for a wide range of varieties with anywhere from a 90/10 to a 50/50 ratio between the two (and even more options if you’re looking at auto-flowering strains, which also contain ruderalis). At Growers Choice, we use the term “hybrid” quite loosely, usually to describe our strains that are quite evenly balanced between indica and sativa – no more than about 60/40. Any wider ratio than that, and we usually call the strain an indica- or sativa-dominant. Though sativa rules the show when it comes to Jack Herer, the indica aspects of its geneology refuse to be overlooked, and manifest in a relatively thick resinous trichome cover across the plant’s sugar leaves and buds. It boasts large, deep green leaves with jagged serration, and large, oblong flowers. 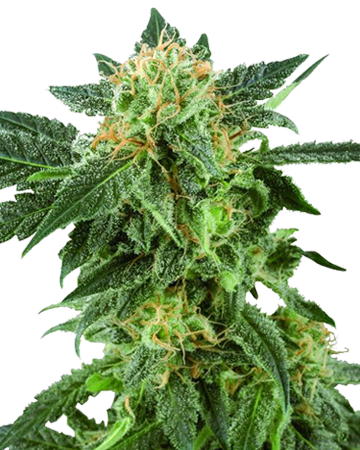 After you have germinated your Jack Herer cannabis seeds and coaxed them through the vegetative stage, you should expect a flowering stage of between 50 and 70 days. We rank Jack Herer as a weed strain of “moderate” growing difficulty. 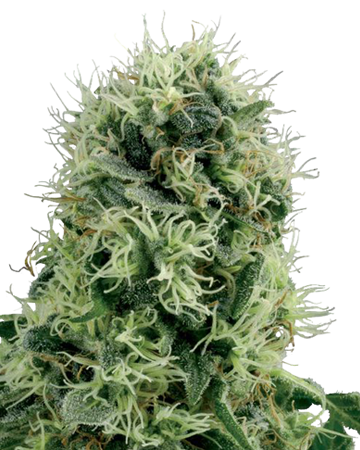 All this means is it might be best to try out one of our easier strains – an auto-flowering for instance – if this is your first kick at the cannabis gardening can. If, however, you have some experience or enjoy a bit of a challenge, Jack Here is an excellent choice! 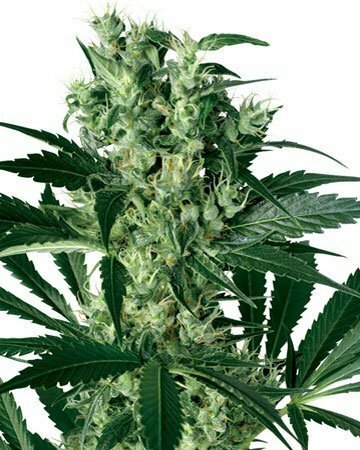 .3 How big is the yield from Jack Herer plants? 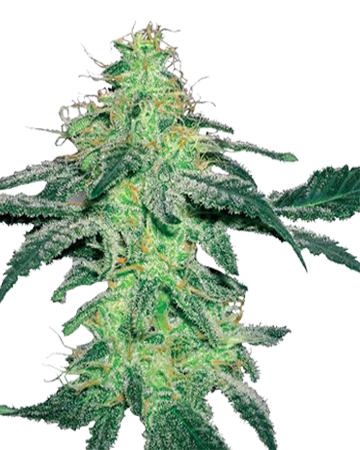 Jack Herer offers a fairly impressive yield for a mid-sized plant. If you’re planting your seeds and cultivating indoors, you should see about 400 to 500 grams of fresh flower for each square meter of occupied space. If you’ve decided to plant outdoors, you can expect as much as 800 grams of bud per plant. 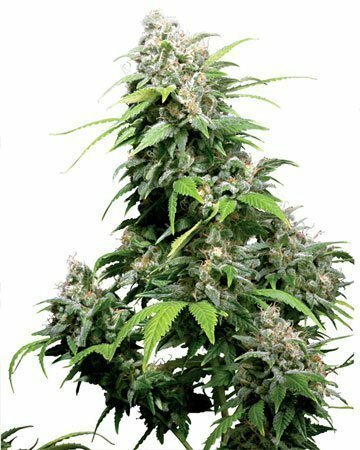 If you’re hanging around Jack Herer pot plants or buds, you’ll likely catch a hint of citrus scent with a bit of an earthy or peppery background. 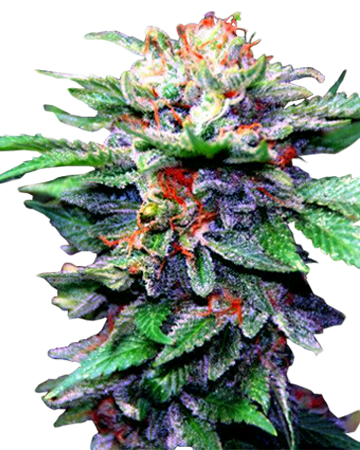 If you smoke your dose, you’ll find the smell is a bit herbal, and the taste offers a bit of tangy citrus. An award-winning strain (it’s taken home more than half a dozen gold medals from the Cannabis Cup), Jack Herer is born of a combination of three other wildly popular strains: Northern Lights, Haze, and Skunk. As one reviewer of the strain notes, Jack Herer gives you a heady lift and a burst of energy, but isn’t overpowering in its psychoactive effects. The same reviewers describe the obliteration of a burgeoning headache, and its impressive longevity. 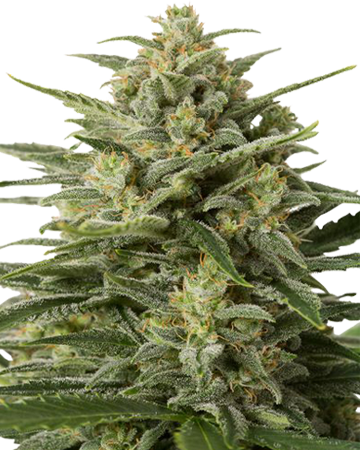 Growers Choice’s Jack Herer boasts a moderately high THC level of about 18 percent which should, as stated above, give you just enough of a mental high to get (and keep) you moving, without blasting you into the realm of hallucination or paranoid. Another reviewer celebrates the strain’s ability to let you down easy, with no “crash” at the end of that lengthy high. 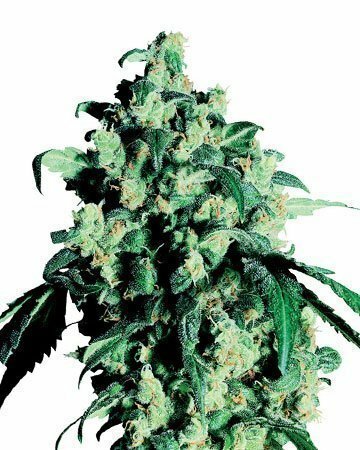 The good taste accompanying these great effects is often cited as just one more reason to love Jack Herer. It should be apparent from these assessments that Jack Herer is not a strain for evening use, unless you’re planning to be up much of the night. We strongly recommend sticking to morning or early afternoon with this strain – trust your instincts and knowledge of your own body. Depending on the user, Jack Herer can leave you feeling a little energized, or a little lazy; therein lies the joy (and uncertainty) of a hybrid strain! Though not ideal for insomniacs, the strain is rather well-known for easing anxiety without leaving you completely couch-bound, and also dulling the sharp edge of depression. You may find your chronic or acute pain subsiding once your dose kicks in, and those struggling with treatments like chemotherapy could experience relief from nausea and improved appetite. 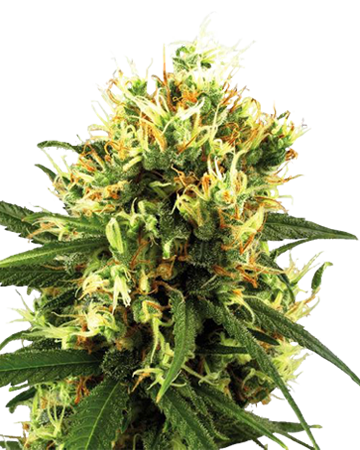 If any of your Growers Choice cannabis seeds turn out to be duds, we offer a 90 percent germination guarantee – if more than 10 percent of your seeds don’t germinate, we send you new ones! We’re happy to say our germination promise is the highest in the industry. Make sure you check out our Germination Guide for details. In it, we outline the water glass and paper towel germinate method, which you must follow in order to be eligible for our guarantee. Don’t worry – it’s a simple process that gives your seeds the best possible chance of sprouting! At Growers Choice, we deliver your cannabis seeds to anywhere in the world. 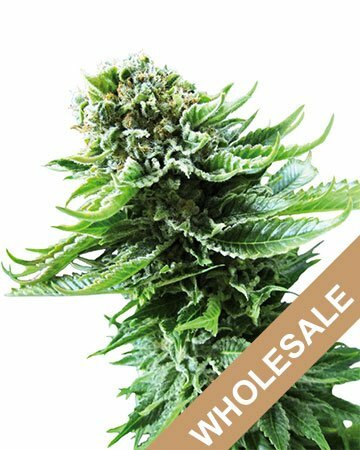 If you live in the US or western Canada, you could get your seeds within a few days of placing your order, because everything ships from our warehouses in the PNW. Choose your seeds and quantity, enter your info, then just sit back and wait for your premium cannabis seeds to show up at your door in our custom medical-grade glass vials! Suffice to say, whether you’re looking for an uplifting strain to get you through a tedious day or push past a sleepless night, Jack Herer is your strain. And if you’re seeking medical relief, you can turn to Jack Herer to relieve your depression or pain without worrying about an obliterating psychoactive side effect. 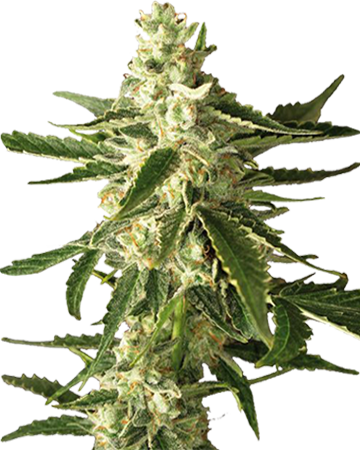 Try Jack Herer cannabis seeds from Growers Choice today. You’ll be so glad you did!